A reasonably challenging route with plenty of opportunity to enjoy the views. Following the same route as the 4 Day Road Tour and 6 Day Road Tour, this tour is perfect for building stamina and fitness. Covering an average of 27.4 miles a day (44.1km) there is plenty of opportunity to pause along the route. Cycle hire: Add £140 per person. Check in for your first night’s accommodation at Wadebridge Bed and Breakfast in the north Cornish town of Wadebridge. In the afternoon you are free to explore the abundant independent shops and cafés of Wadebridge, or you could stretch your legs on local lanes. 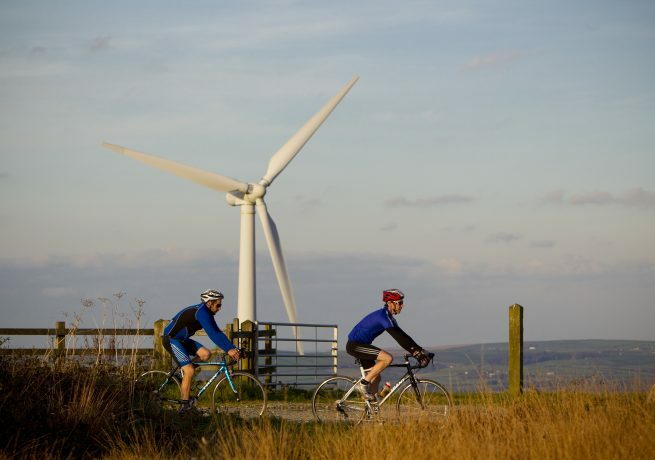 If you are hiring a cycle for the tour, we will get you set up and make all the necessary adjustments, such as fitting pedals, in the afternoon of your arrival, to ensure you are ready to go in the morning. There is no tougher way to start your trip than the 28% incline at Hustyn Hill, one of the steepest inclines in the country. (Please note in wet conditions this hill is uncycleable – an alternative route is suggested in your briefing.) Once conquered, you travel south to Bodmin before criss-crossing the A30 on relatively flat terrain. The easy road through Ladock really allows you to put your foot down into the capital of Cornwall, Truro. Truro Townhouse, Truro A central accommodation with comfortable and attractive rooms for you to relax in, each featuring an en-suite bathroom. 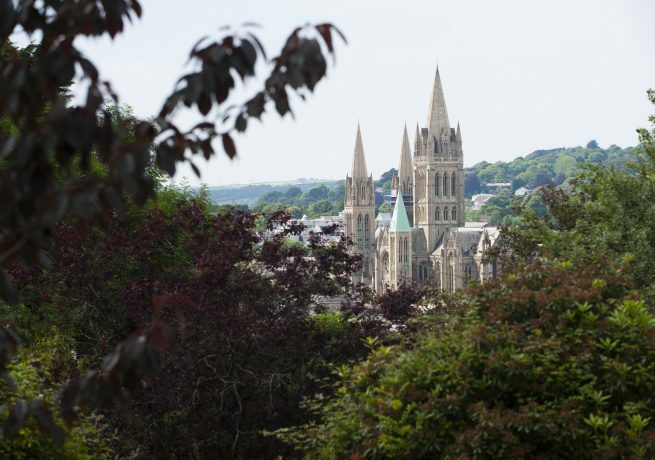 The staff will make sure you have everything you need during your stay, and the property is within walking distance of all that Truro city centre has to offer, including a cinema and great selection of independent and high street shops. Some great restaurants also line the cobbled streets, including Hubbox, The Old Grammar School and Sam’s in the City. Leaving Truro, the morning’s route allows you to take a breather as you spend time crossing the Fal River not once, but twice. After enjoying the bustling maritime town of Falmouth you’ll appreciate the restful morning as traversing the Lizard Peninsula is no easy task. Ending the day, the village of Gweek is located at the foot of the Helford river, a perfect position for an evening’s rest. The Black Swan, Gweek Located next to the popular National Seal Sanctuary in the picturesque village of Gweek near Helston, The Black Swan offers a wide selection of Cornish real ales including Sharps Doom Bar and Skinner’s Betty Stoggs, alongside a couple of guest ales. The restaurant area has been decorated to give a warm and welcoming atmosphere and they offer a home cooked menu from the blackboards, with a great roast on Sundays. 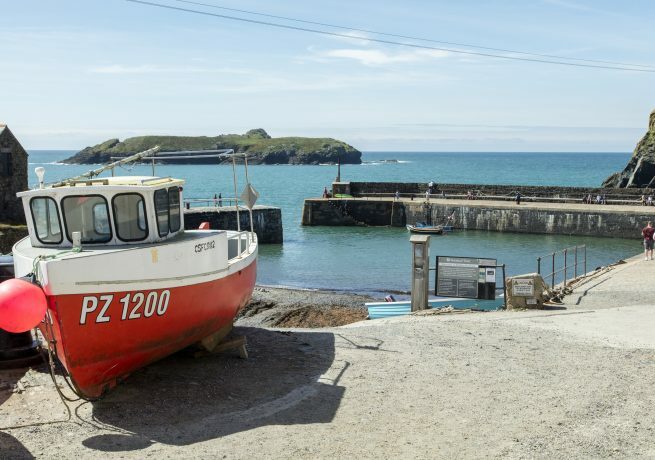 On paper, Gweek to Porthleven is a short ride, however our route takes you south towards Lizard Point and then across tough terrain to Mullion Cove. You then head north towards Helston from which it is a short and comfortable ride into the fishing village of Porthleven. Staying in The Harbour Inn, you have access to the beautiful sea views, cafés and one of Cornwall’s best surfing breaks. The Harbour Inn, Porthleven The Harbour Inn is a lively pub situated on the harbour in the small Cornish village of Porthleven. The Harbour Inn has 14 rooms, each featuring a telephone, television, tea and coffee making facilities and a hairdryer. All the food served at The Harbour Inn uses fresh local produce and there is also entertainment in the bar on Saturday evenings, with a fun quiz night on Thursday evenings. 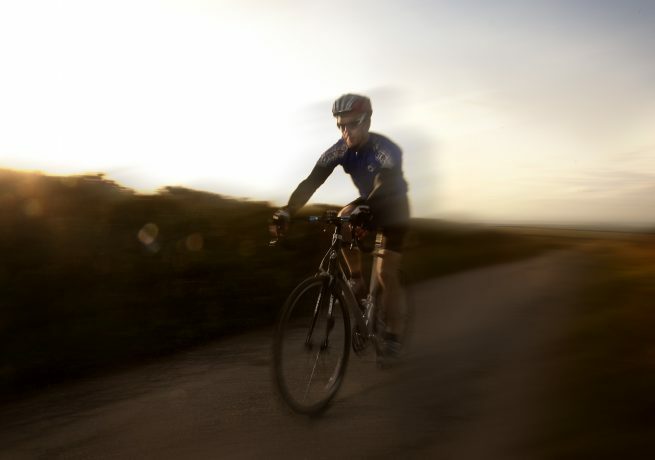 Your fourth day of cycling takes you around the west coast of Cornwall, ending in Penzance. The 30 mile (48km) route takes you along coastal lanes to the seaside village of Marazion and its breathtaking views over St Michael’s Mount and Mount’s Bay. 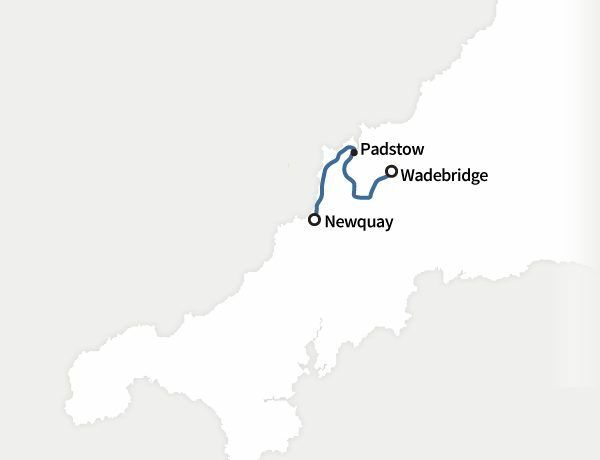 After Marazion, there is an easy, level ride around Mount’s Bay to Penzance and neighbouring Newlyn. Both towns have large harbours and provide good opportunities to break for rest and recuperation. Continuing around the coast you pass the hamlets of Mousehole, Lamorna and Porthcurno before visiting England’s most westerly point, and mecca for all cyclists, Land’s End. You will finish the day in Cornwall’s ancient mining district, St Just. Now into the second half of the Road Tour, day five takes in the north coast of Cornwall in the 28-mile (45km) journey between St Just and Portreath. Emerging from St. Just, the route then takes you through National Trust land at Rosemergy, Porthmeor and Gurnard’s Head to the village of Zennor, where the nearby Logan Stone is worth a detour. St. Ives is halfway to Portreath and a perfect position to stop for lunch. From St Ives to Hayle the route follows the hilly coastal road with wonderful views over St Ives Bay up to the lighthouse at Godrevy Head. Then from Gwithian into the coastal village of Portreath, a tough leg to complete after five days of riding. The Portreath Arms Hotel, Portreath The Portreath Arms Hotel is a small, traditional, family run hotel located in The Square at the centre of historic Portreath. The hotel has a bustling public bar and lounge – a traditional meeting place for locals. The hotel has seven en-suite rooms that they offer on a bed and breakfast basis. 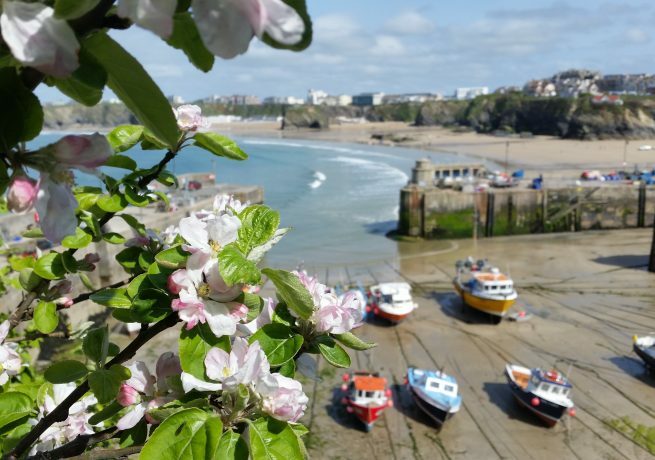 The Portreath Arms Hotel serves an excellent choice of home cooked food, freshly prepared from locally sourced ingredients, with local fish and crab a speciality. 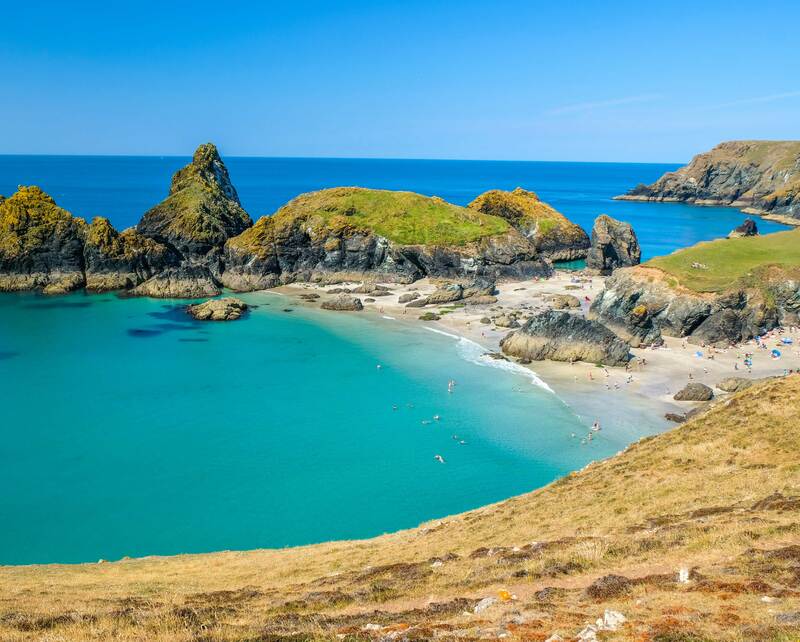 Continuing along the north coast, you work your way through some of Cornwall’s best beaches as you pass Porthtowan, Perranporth, and the sandy dunes of Holywell Bay before continuing on the coast road into Newquay. You follow the contours of the north coast through Porth, St Eval and St Merryn before a tough ride to Padstow, well known for its fantastic Christmas Festival and plentiful foodie offerings, with a number of great restaurants lining the harbour, including Rick Stein’s Seafood Restaurant, Paul Ainsworth’s No. 6, and Prawn on the Lawn. After a well-deserved break, it’s on to the final leg, an easy ride south towards St Columb Major and then on to trickier terrain through small villages and splendid countryside on the way back to Wadebridge. 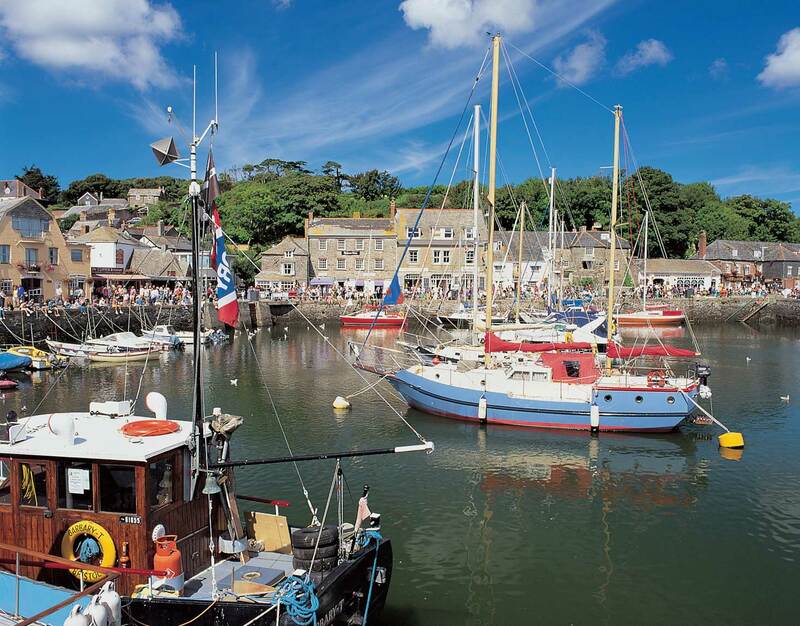 With sandy beaches, spectacular estuary views, and award-winning restaurants from Rick Stein and Paul Ainsworth, we’d recommend stopping to explore this charming fishing town. 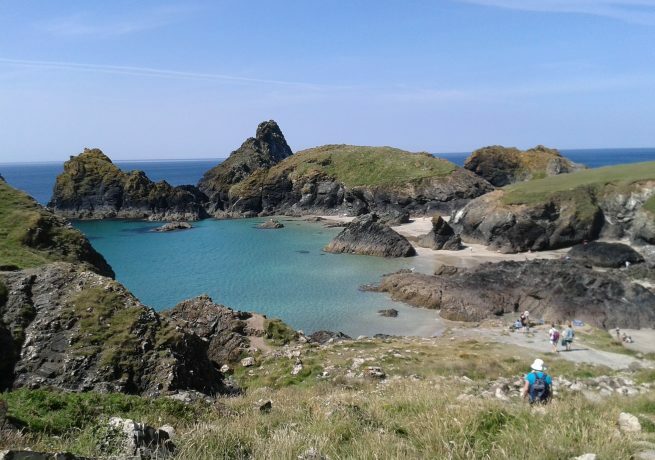 Featuring golden sand, turquoise blue water, and dramatic cliffs, Kynance Cove is one of Cornwall’s must visit spots. 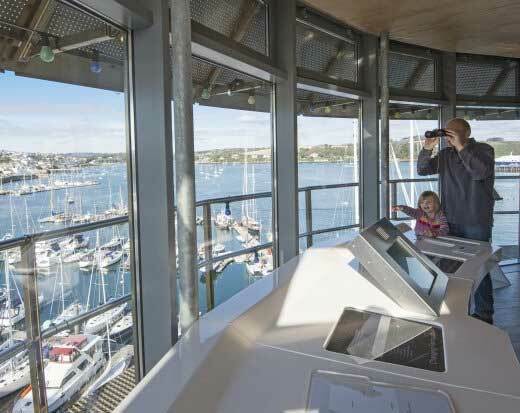 The harbourside Museum in Falmouth tells the story of Cornwall’s maritime heritage with 15 galleries, interactive exhibitions, maps, and memorabilia.